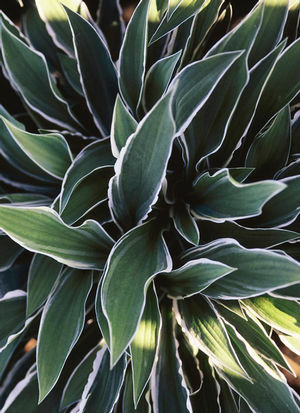 This dwarf Hosta is a garden classic. Long lance-shaped leaves which are dark green with a white margin. Lavender blooms.